If you are charged with a federal crime, or are being investigated by a federal law enforcement agency like the DEA, FBI, ATF, or ICE, you should hire an experienced federal criminal defense lawyer. Federal law is unique in many ways, particularly with regard to procedure and sentencing. 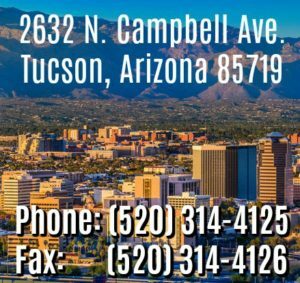 When you are looking for a criminal defense attorney to defend you against federal charges in Tucson or anywhere else in Arizona, it is important to find one that has experience in federal criminal procedure and federal criminal trials. Not every Tucson criminal defense lawyer is an experienced Tucson federal criminal defense attorney. As a former Assistant United States Attorney, Nathan Leonardo has handled numerous federal cases as both a federal prosecutor and a Tucson federal criminal defense attorney. He has an intimate knowledge of federal law and federal criminal procedure that many defense lawyers lack. This includes familiarity with the Federal Sentencing Guidelines, a book that federal judge’s always consult in determining what sentence to impose. He is also familiar with the prosecutors and judges working in the Federal District Courts in both Tucson and Phoenix. The federal government is a powerful adversary with virtually unlimited resources. It is essential to have an experienced federal criminal lawyer defending you in federal court. Having worked as a federal criminal attorney for over ten years, Nathan D. Leonardo has successfully represented many clients in federal court, sometimes even before they are charged. Call for a free, confidential assessment of your federal case at 520.314.4125 or contact us online.